The modern herbalist can be any person who knows herb descriptions and medicinal use in order to achieve safe, natural and superior wellness results. Herbal medicine relies on the healing properties of plants for health. An herb is any plant or plant part that is of medicinal, therapeutic or culinary value. Usually, many types of herbs are dried, but some are used fresh. Part of the interest and success of using herbs is due to their complex phytochemical compositions and their unique energy, which cannot be duplicated in any drug. Unlike drugs, herbs usually have no harmful side effects. Herbal medicine is traditional medicine. Before the widespread use and acceptance of modern pharmaceutical medicines, the plant kingdom was the pharmacy. Even today, some modern drugs are synthesized from herbs, an example being the drug digitalis from the flower foxglove. Herbal medicine practitioners believe in healing through natural herbs for a variety of health related issues. Herbs have been used traditionally and currently to cure certain illnesses to prevent disease and for symptomatic relief, such as during difficult child bearing or to enhance current wellness. A modern herbalist can range from your family doctor who believes in alternative medicine or just appreciates the conventional drugs made from plants, or to a person who has extensively studied herbs and practices nutritional assessments matching ailments with different types of herbs. Most alternative medicine practitioners can be considered herbalists since the majority of remedies used in their practice are herbs. From the local chiropractor, the naturopath doctor, a QRA practitioner, the acupuncturist or even perhaps, your wise grandmother, all who desire to help others using plants are considered herbalists. Other modern herbalists do nothing more than analyze your physical complaints and recommend the appropriate herbal remedies. For more herbalist leads, follow this link to find an herbalist in your area. 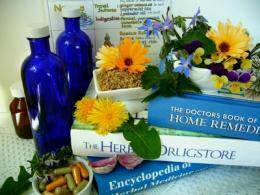 Becoming a professional herbalist is perhaps one of the easiest ways to enter the realm of alternative medicine. There is a variety of schools offering training. Many herbalist schools also offer distance or online courses allowing the individual flexibility to learn about healing though natural herbs without much travel.